Drake was dominant yet again in the Billboard Artist 100 Chart, as he was No. 1 for the 2nd week in a row in the rankings dated the 21st of July. He was at the summit in the United States’ rankings for the 28th time in his career, as his latest album called ‘Scorpion’ was No. 1 as well the Billboard 200 rankings. 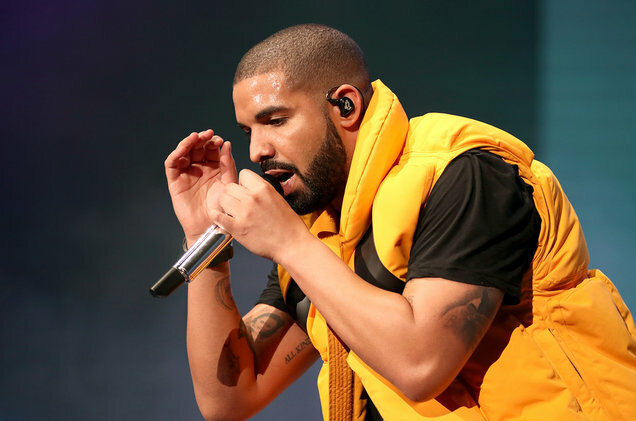 Drake completes the treble, with his single ‘In My Feelings’ being top in the Billboard Hot 100 rankings, as the song climbed five places from No. 6. The jump gave him his 6th No. 1 in the charts, which is the most among rappers. The Artist 100 rankings is calculated by measuring music consumption across multiple metrics, taking into account sales of tracks and albums by the artist, streaming and radio airplay, as well as interaction with fans and followers across multiple social media platforms. Thus, a ranking is derived that represents the popularity of the artists. Drake recently also managed a record 27 singles to feature on the rankings of the Billboard Hot 100 but has now got 24 songs on the latest chart, which is the second best total in a week. The Billboard Hot 100 ranking is 59 years old and Drake is the only artist to manage 20 and more titles on the chart in a single week. He has accomplished such a feat five times. Not only is ‘In My Feelings’ at No. 1 in the rankings; ‘Nice For What’ is at No. 4 and ‘God’s Plan’ is at No. 6, with both the songs having achieved top spot previously. Drake has the second-most appearances at No. 1 in the Artist 100 rankings, with only Taylor Swift ahead of him, having logged 36 instances at the zenith of the chart, since its inception 4 years ago in 2014. Drake follows her with 28, with The Weeknd coming at No. 3 owing to their 15 appearances. Ed Sheeran and Justin Bieber are joint-fourth, with 11 appearances each at the top of the chart and at No. 5 is Adele with 10 appearances. Taylor Swift has also gained 3 positions this week, as she climbed from No. 11 to finish at No. 8; her highest since January. Her new single ‘Delicate’ has also climbed the rankings in the Billboard Hot 100, as it achieved a high of No. 15, after climbing up 8 places from No. 23. Meanwhile, Post Malone managed to keep his No. 2 spot, while Bangton Boys, also known as BTS, jumped up two places from No. 5 to finish at No. 3. XXXTentacion meanwhile lost a place from No. 3 to end at No. 4. The top 5 is rounded off by Imagine Dragons, who climbed up 2 places from No. 7 to end the week at No. 5.